All the rave about Philly city living seems to always be about the nightlife and the good food, but, as a former preschool teacher who is looking to establish a life in Philadelphia, I wanted to find out about the family-friendly, children accessible attractions that this wonderful city has to offer. Rittenhouse Square, at 18th and Walnut streets, has a small space for children to play in. What’s better is that it is a gorgeous place for adults to sit and enjoy each other’s company while the kids run out all their energy. The Park is surrounded by gorgeous prime Philadelphia real estate, which often aids as a shade from the sunshine. Delancey Park, at Delancey between 3rd and 4th streets has lots of sculptures for little ones to climb on and fountains for them to enjoy. Photo opportunities are a regular here. Nearby, Old City features historical Philadelphia properties. The Franklin Institute has got to be the best! It is my fondest memory of a museum from growing up and I would recommend it to anyone. It is adult-friendly with tons of wondrous information, and you can check the kids in at the giant heart and explore for yourself. Also, check out and even dare to run the Philadelphia Art Museum’s steps. 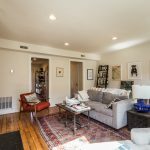 This is a great area, set right between the residential Fairmount area and the heart of center city. 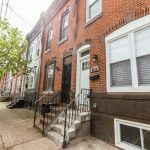 Lots of families live nearby, and there are even some available Philadelphia houses for sale listed right now. The Please Touch Museum is also a must-see attraction. It is more for the kids so you may have to put your needs aside, but it has the most wonderful exhibits for exploration and learning. One that you may not know of, The Philadelphia Doll Museum, has exhibits that span cultures and time periods. Although this is in close proximity to the Temple University housing area, there are also many families currently living and enjoying this Philly residential area. Whether you’re revisiting these sites or taking the kids along for the first time, Independence National Historical Park is home to Independence Hall, the Liberty Bell, and the First Bank of the United States. You can read up on your history while your kids can collect stamps at various park sites and become an official Junior Ranger. On the border of Old City and Washington Square, check out the gorgeous real estate prospects and commercial real estate sites around the area. If you need to get your sports fix in, go to Citizens Bank Park. You can catch a game and let your kids explore the Phanatic Phun zone or Phanatic Shoe Slide, where your child can enjoy and learn about our city’s true love for its sports teams. If you are an out-of-towner, there is a Holiday Inn Hotel in close proximity. The Hard Rock Cafe Philadelphia site features fun decor and tons of Rock and Roll. This is a great stop for those with young kids through teenagers or young adults. The kids will love the food and, luckily, so will you. Many Philadelphia commercial real estate properties are nearby in the Market Street area, so get some window shopping in before or after lunch! Johnny Rockets is located in the heart of the South Street fun and is 1950-themed. Enjoy delicious milkshakes while you sing along with the oldies. World Cafe Live features a concert series for kids called Peanut Butter and Jams. Check out this fun event that will leave you and your kids singing the whole way home. World Cafe is located in close proximity to University City housing and is a great hot spot. The Philadelphia Orchestra for Kids offers family concert series, and Sound all Around, which appeals to younger kids. The music is chosen just for youngsters and is a great way for you share in their learning the love for the arts. So, it turns out this city isn’t just for adults, and that there are many things you can do with your little ones by your side. Makes for a good reason to make Philadelphia property investment and stay for awhile! Contact us if you’d like to speak about buying a home in Philadelphia near any one of these family-friendly attractions! When is it the right time to move out and on? According to TimeNewsFeed, 85% of college grads are moving home with mom and dad post-graduation. With high unemployment rates, recent graduates are trying the higher education route or attempting to save money by staying under their parents roofs. Higher undergraduate school loan costs, the unpredictable job market, and the high-cost of living are all good reasons to take a few years and prepare yourself financially for the responsibility that getting your own place requires. I am a huge proponent of moving home right after college, if the option is available to you. No one could prepare me for what came next, no matter how many times they tried to warn me. Bills came like clockwork and the college years were the last years before I became a 9 to 5er. But, I eventually found myself being stifled by living at home, and I know a lot of others end up with similar sentiments. It’s important for you to recognize when you’re using your parent’s house as a crutch, and when it is time to move on. Philadelphia Property Management Company– Property management companies and rental agents are a great way to start your apartment search. They have access to 1000’s of apartments , homes, and condominium units through their local MLS, which might not otherwise have access too. Zillow / Trulia / Hot pads – I lump these three together because they provide much of the same service, and often even syndicate the same listings. Use these sites as a last resource, as typically they do not give the best results. These are some ways that will allow for you to land in a place that fits most of your needs. Living with other people can always help cut down your expenses. Be willing to take on a roommate or two to share the costs of utilities and furniture for the place. Look for a way that you can convert a bedroom into two. Find an inexpensive room divider and add a roommate that you’re able to share space with. If you find a property which is in your price range and has most of what you want, please don’t give it up because it’s missing one component. There probably is never going to be an absolutely perfect place and you could be giving up a space you really love and regretting it in the end. Don’t focus on only Center City. Look in the areas just around the center, for example Manayunk or South Philadelphia, because they offer just as much excitement and are usually half the price. Have More Questions? Need More Answers? Contact JG Real Estate today. Use the Live Chat option and we will do our best to help you find the place that you’ve been searching for. Or, feel free to give us a call at 215-467-4100 to speak directly. If you need help, the best way to get it is to ask! Northern Liberties-based Domani Developers, about to break ground on Stable Flats at George and American Streets, has nearly a dozen projects completed, in progress, or proposed around the intersection of Frankford and Girard in Fishtown. Further up Frankford Avenue, Little Baby’s Ice Cream and the pizza shop Pizza Brain will be opening next spring. Filling in the middle of Frankford Avenue, the Pickled Heron, a BYO serving French fare, opened at the beginning of this year, and several other properties nearby have recently been purchased for commercial use. Fifteen years ago, this corridor had essentially been abandoned. The commercial vacancy was “ridiculously high,” recounts Henry Pyatt, commercial corridor manager at New Kensington Community Development Corporation (full disclosure: I am an Americorps VISTA at NKCDC serving as Sustainable 19125 Project Coordinator). “People drove really fast in order to get through here,” said Pyatt. Now recent Domani projects along Frankford near Girard–Stephen Starr’s Frankford Hall, Lola Bean Café, Amarita Yoga, Art Machine tattoo parlor–as well as Bike Stable and the long-established Johnny Brenda’s, have begun drawing foot and bike traffic up the corridor. Pyatt compares the effects of these businesses to that of a straw, sucking business up from Girard and onto Frankford Avenue. Domani Developers has proposed a hotel at the currently vacant five-story building, which was originally constructed as a brewery at the turn of the 20thcentury. After a brief stint as a pickle factory, the building served as a frozen storage facility operated by Arctic Cold Storage Co. beginning in 1925. Developer Roland Kassis, of Domani, envisions that the hotel will be like The Jane hotel in New York, with rates starting at $80 and running up to a couple hundred dollars per night. Near Frankford and Mercer, Domani plans to create a 300-seat theater for plays, live music, comedy shows, and dinner, and an indoor, year-round farmer’s market—think mini-Reading Terminal. Prospective market vendors includeBaker’s Street Bread, a flower vendor, and of course, local farmers. There are plans for a restaurant and bar to be located inside the market, and Kassis also says that the Liquor Control Board was amenable to opening a retail outlet. Next door, construction will start soon on a salon, dubbed “The Parlor.” The farmer’s market and salon will both occupy parts of the old B & B Dyers complex, which was erected in several phases between 1865 and 1890 as an alcohol and cologne rectifying facility. From the 1920s onward the buildings served as a textile dying and finishing plant, which shut down in 1989. 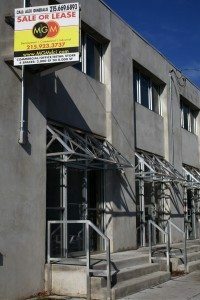 Domani has also proposed opening a shop for the boutique motorcycle manufacturer Hammarhead, which builds custom-made hogs that run $40,000 a head. The company’s founder and CEO, James Loughead, Ph.D., is an Assistant Professor of neuropsychology at the University of Pennsylvania. And there is more to come. 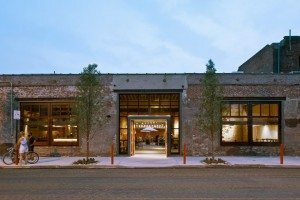 Domani owns several more potential commercial spaces along Frankford Avenue. According to Kassis, Domani will often sit on a property for a year or more until they find a tenant they believe fits in with their vision for the neighborhood. A few blocks beyond the Domani properties, near Dauphin, Brian Dwyer and Joe Hunter will open Pizza Brain in a former flower shop, in conjuction with the opening of Little Baby’s Ice Creamnext door. Both will offer somewhat eccentric yet affordable fare. Other indicators of future development include the recent sale of an old car wash at Norris, and Philadelphia Brewing Company’s purchase of the lot at Hagert located in front of their Brewery. Lest it seems that the all this development is indistinguishable, I hasten to point out that the design, scale, and price points of proposed projects vary. 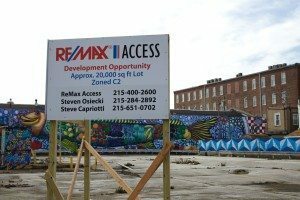 The Domani projects near Girard will continue in the vein of the developers’ past projects on the Avenue, such as Frankford Hall, Amarita Yoga, and the Lola Bean. This means clear-coated brick, rough lumber, and other accents showing bones of old buildings, combined with more modern touches. It also means we can expect, at least to some degree, slightly higher price points. Further up the avenue, in a section of the neighborhood that still has a considerable number of vacant properties, a less flashy aesthetic has been maintained (even in the scattered residential development), with most businesses opening up in buildings in situ while offering products priced consistently with those of older neighborhood establishments. Johnny Brenda’s co-owner Paul Kimport points out that the monolithic label of “gentrification” does not accurately describe recent changes in Fishtown: the housing stock and open space available for development are limited, he observes. 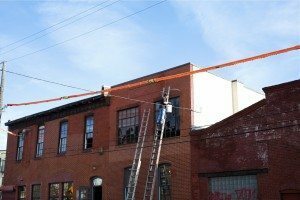 These conditions foster a more restrained level of development, preventing the neighborhood from being dominated by new construction projects, as has been the case in nearby Northern Liberties. As for predictions looking forward, Kassis believes that in three years Frankford Avenue–1990s progenitor of the strategy of using grass, trees, and wooden fences to manage proliferating vacant land–will be unrecognizable. Drag racing and short dumping of trash will be only a distant memory. Pyatt shares a similar vision, but does not believe that the flashier architectural characteristics of Domani’s projects near Girard, with their higher cost per square foot, will necessarily extend all the way up the corridor. Supporting this speculation, Pizza Brain, Little Baby’s Ice Cream, and the Pickled Heron have stationed themselves in existing buildings without extensive exterior renovations, allowing them to blend comfortably with the surrounding fabric of the neighborhood. According to Pyatt, the next step in solidifying Frankford Avenue as a retail district is to string together the two main nodes of commerce on the avenue. He is encouraging this process along with the rest of the economic development Department at NKCDC by marketing available properties and entreating Frankford Avenue property owners to consider renovations amenable to commercial use during the zoning process. Beyond participation in the community planning process, in this neighborhood community zoning meetings serve as the last venue for input from residents hoping to influence local development proposals. 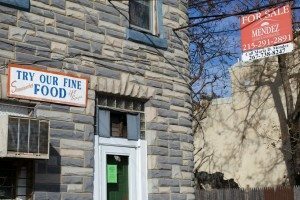 Last week, the Fishtown Neighbors Association (FNA) community zoning meeting unanimously approved the two variances will allow Little Baby’s Ice Cream to open their scoop shop and ice cream manufacturing location on Frankford Avenue. After Little Baby’s scooped up their community approval, a proposed two-family dwelling on a single-family lot received an overwhelming vote of opposition on the grounds that it “didn’t fit with the neighborhood” and would increase density to the inconvenience of neighbors. If this meeting was any indication, the community is both embracing (at least some) new commercial development while attempting to maintain the qualities of the neighborhood that predated the commercial revival on Frankford Avenue. The community zoning meeting for the proposed theater, motorcycle manufacturer, hotel, and farmer’s market have yet to occur. 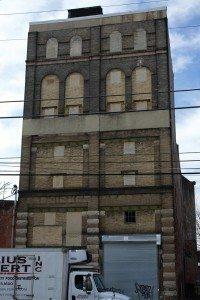 If you live within the Fishtown Neighbors Association boundaries and would like to hear more details about the projects and weigh in, keep an eye on www.fishtown.org for the announcement of the community meeting date and time. Fishtown, a Philadelphia neighborhood running directly alongside the Delaware river, has shown recent signs of gentrification including real estate values skyrocketing and parking becoming more and more elusive. Just north of Northern Liberties and Old City, there are tons of attractive aspects to owning Fishtown real estate. Being an up and coming area of the city, considered by the NYTimes as a “Rebirth Along the River”, many Fishtown businesses attract potential buyers and entice the residents to stay here for generations. Johnny Brenda’s, located at 1201 N. Frankford Ave., is a bar, restaurant, and music venue that is thought of as a Fishtown landmark. Frankford Hall is Stephen Starr’s latest project. Right across the street from Johnny Brenda’s at the intersection of Frankford and Girard, this Beer Garden features a nice array of craft beers as well as an impressive liquor and wine list, with a large outside area with picnic tables, ping pong, fire pits in the winter and lots of great food. Located at 1114 Frankford Ave., Barcade is exactly as its name claims– a bar and arcade in one place. It boasts local craft brews, a well-developed food menu, and 34 classic games for patrons to enjoy. Almost every night since its opening, Barcade has been packed full, showing just how well received new concepts in Fishtown are right now. 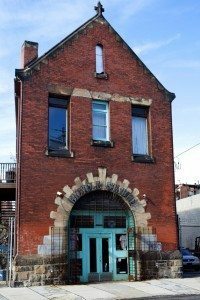 Kraftwork Bar, managed by Adam Ritter, is located at 541 E Girard Ave (our neighbors! ), has a well constructed Brunch and Dinner Menu that features diverse foods from pretzel bites to crispy chickpea sandwiches. Events, such as the Craft Beer Express, are fun ways for Philadelphia residents to enjoy quality beers. Ritter also owns Sidecar Bar in the Graduate Hospital neighborhood in South Philadelphia. The M Room features nights like Made Decent Mondays and offers a great lunch and dinner menu to compliment the fun. Ida Mae’s Bruncherie is on the corner of Norris and Tulip Streets and features locally grown foods made into delicious meals for its patrons. Working in conjunction with Ida Mae’s is Greensgrow Farms which has run business in Fishtown since 1997. Their motto: Eat well. Eat local. Greensgrow is one of many pick-up spots for those who elect to participate in the Community Supported Agriculture (CSA) program, where once a week you can pick up a basketful of locally grown produce. Formerly Canvas Cafe, Milkcrate Cafe has reopened as a coffee joint with a record store twist. Penn Treaty Park, established in 1893, has increased in size since the early 1980’s and now boasts several acres of land. It is the only true waterfront park in the Philadelphia region. For man’s best friend, Pop’s Playground features a members-only dog space located at the Western end of the Park. New to the Fishtown community is 2424 Studios, a work studio community that features over 80 work studios and offices. Within that space is the “Skybox,” which is a unique space that allows for art exhibitions, parties, or whatever the mind can envision! The Slingluff Gallery, located on Girard Ave., is a gallery that brings international and national contemporary works to the community. They offer a Philadelphia favorite, First Friday openings every month! The former Hot Potato Café, located on Girard Ave, has an orange liquor application posted in its window! Word on the street is that there could be a New York inspired whiskey bar there. Stay tuned for more details! JG Real Estate uses Appfolio for our property management software. It is a web-based property management service that benefits both our agency and, more importantly, our clients. This online manager allows for instant access to manage your properties from any computer. With this completely web-based software, we can now make any destination our office. Snow storm? roads closed? Holidays? No problem. JG Real Estate can log-in from any computer daily and take a look at what’s going on with your properties. In this way, we never stop working for you. Online advertising is enhanced. We already have a vast array of marketing services, but now we can additionally log in through Appfolio and instantly link to Craigslist or any other rental site with a few easy steps. Finances are easily accounted for. There is no need for the confusion of multiple financial banking sites because through Appfolio we can add late fees, view the entire payment history of that particular tenant, track utility bills due, and mortgage and loan payments due. We can tell you when the tenants paid, when you were paid, and when all future payments are due. But what sets Appfolio apart from the rest, at least for us, are the benefits that it offers to our clients. Appfolio gives us an outlet to have constant communication with you. If there is information that applies to all of our clients, we are able to send mass messages, which is more efficient than emailing or calling individually would do. We can solve problems quickly and more efficiently. Tenants have the ability to pay their rent online. In return, we have the ability to directly transfer these funds to YOU. Instant income. Because of the efficiency and accountability that this management software offers, tenants have a better experience and are more likely to re-new their leases. No vacancies for you is exactly what your investment property requires. Instant access to view your online statements. Through our owner log-in portals, you can see exactly how your rental properties are doing. We do all the work, but you maintain control and nothing is kept from you. Appfolio becomes one more way that your Philly rental property can be found by potential tenants when it’s vacant. This increase in viewing means an increase in applicants. What proves most helpful for you is the online payment option. Residents can pay their rent online in a matter of seconds. This option alone saves an incredible amount of time and eliminates the hassle of waiting for the bank to process checks, etc. and you will reduce the cost of processing those checks. To make it even easier, it integrates directly into your records. Owners can be paid with the ACH functionality, where funds are deposited directly into your bank account. This decreases the waiting time and increases the security of the payment. Appfolio is not the only site that provides the details listed above but it is the best in our opinion. It works for you and it works for us and it does so efficiently. Now that you know that we work with, feel free to read more about our Philadelphia property management services. Give us a call to discuss your individual rental property and the various options that we can offer you. you’re one to move around a lot. 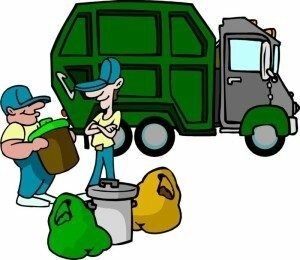 Be sure to ask the landlord or Philadelphia property manager what the day is for trash pickup and recycling. If you forget to do this, there is a very easy way to figure it out. You will see the map that defines how the area is split up for trash collection. Zoom in to your specific location, which will have a day of the week over it. The further you zoom in, the clearer the zones become. 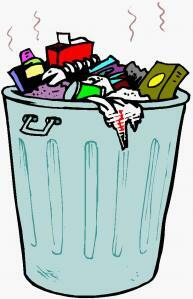 Trash and recycling should be set out between 7:00 PM the night before your authorized day and 7:00 AM the day of pickup. There is an area from Vine Street to Bainbridge Street, from the Schuylkill River to the Delaware River, where waste should be set out no later than 6:00 AM the day of pick up. the amount of trash disposed. filled to the 40 lb. limit. Wood scraps and other loose items must be securely tied into bundles. They may not exceed four feet long and two feet thick. You must use your own containers for your trash. City litter baskets are for pedestrian usage only. Know your weekly limits on the amount of trash you can dispose of. Each house is allowed, at the most, 4 – 32-gallon receptacles or 8 – 30″x37″ bags of trash, every week. The weight limit for each disposal is 40 lbs. and should not exceed, in total, 240 lbs. If it’s time to get rid of the old television, or you need to dispose of a flat tire, make sure you follow the city’s guidelines. The Streets Department no longer accepts metal-bulk items, tires, or like-items during curbside pickup. These need to be disposed of by a private hauler or residents may bring items (limit of 2) to a Sanitation Convenience Center. Construction debris needs to be removed by a private hauler. These waste materials will NOT be collected. Televisions and electronics are not accepted curbside and need to be discarded at Household Hazardous Waste events. Everything above is the same if you’re a business with private trash collection. However, you do need to know one following item. Make sure you are complying with dumpster laws. Consult your SWEEP officer for you specific rules and guidelines. Here’s to hoping for a clean and green world!